North Herts District Council have developed a plan for a new car park to provide additional spaces for the Swim Centre and Archers Health & Fitness Club. The car park would be built within their existing plot, behind the Fitness Club. But because it would need an access road from the existing car park, the Council proposed to build one down the west side of the swim centre. As this is registered common land the Council had to apply to the DEFRA Planning Inspectorate for consent – their original application can be found here – nhdc application 16-11-16. We strongly objected to the proposal for a roadway across common land, and on the need for a new car park anyway – without which there would be no need for the roadway to reach it. Hitchin Forum sent a Letter of Objection. 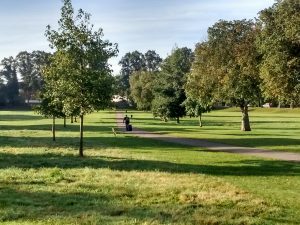 The Friends of Butts Close similarly sent a detailed Objection Letter to the Planning Inspectorate – objection letter – read here which pointed to errors of fact in their application. The Council subsequently submitted an amended application for consent – the Amended S38 Form Jan17 is here, with a new draft Car Park Plan 1-2-17. This showed the reduced size of the car park. It also carried a new proposal – a fence running along the whole length of the access road. The Planning Inspectorate decided that this matter should be dealt with by way of a Public Inquiry. This is a rare event – it’s mostly done as a paper exercise – and probably because the evidence put forward by the Council was so thin and the objections so substantive. Details of this were published in the Friends of Butts Close Newsletter. 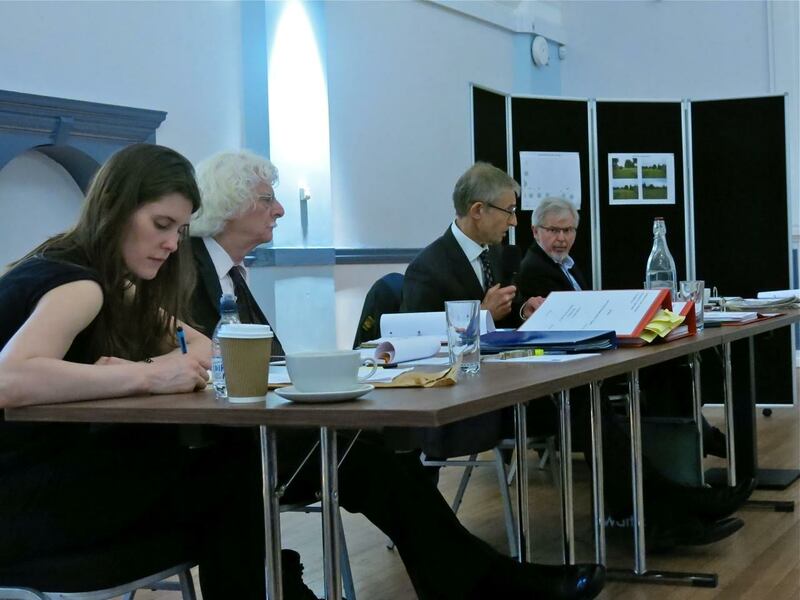 The Public Inquiry into the Council’s proposed Access Roadway on Butts Close was held on 21-22 November 21st & 22nd at Hitchin Town Hall. NHDC’s proposal is now that the car park would be for 69 or 96 or 106 cars. NHDC would exchange land with Hitchin Cow Commoners, who currently hold some land in trust on which the roadway would be built. The Inquiry was set up to consider the objections raised by Friends of Butts Close, Hitchin Forum and one individual. Presentations were made for NHDC by the officer responsible and counsel, with further evidence from the Archers’ manager. Tony Riley spoke for the Friends of Butts Close and Bill Sellicks for Hitchin Forum. The objections focussed on the lack of evidence of need, and the adverse impact on Butts Close – both visually and affecting the tranquility of the area. The car park is not currently reserved for the swimming pool and fitness centre, and a season ticket for Archers allows members unlimited parking. How often this is used instead of other car parks by commuters and town centre workers is unknown. Archers’ members can use the same permit at the Lairage, but this had not been openly advertised, until the second day of the Inquiry. The numbers presented by NHDC about current usage were open to challenge. Counsel for NHDC also tried to argue that because of increasing membership of Archers more parking spaces were required. Mr Riley gently pointed out that membership had increased significantly despite the so-called inadequate parking, which points toward the idea that more parking is not needed, even if membership continues to increase. It was also argued that a fitness centre should not be encouraging people to drive there. Walking and cycling are healthier options, and more needs to be done to encourage this. Active signage to alternative parking at the Lairage would also be useful. The other arguments were to highlight the potential impact on wildlife and the pollutant effects of cars, toxic run off from the car park and increased lighting. The DEFRA Inspector, Mark Yates, was fair, inclusive and flexible in his management of the inquiry process. We now have to await his decision.